Providing you the best range of ac servo motors and drives and variable speed drives with effective & timely delivery. We hold specialization in the designing of a wide range of AC Servo Motors and Drives that are used for 400 V inverters. Serving the electrical requirements of several industries, these AC Servo Motors and Drives are specially designed to meet the varied application demands of our clients. 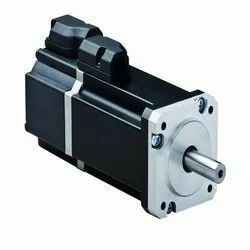 We also undertake customization of these AC Servo Motors and Drives. AC servo motors and drives in Coimbatore, Madurai, Chennai, Trichy, Velur & Karur. 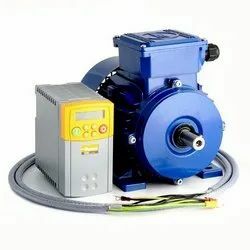 We are the leading manufacturer and supplier such as AC Servo Motors And Drives in Andhra Pradesh, Karnataka, Kerala, Pondicherry & TamilNadu Areas; Chennai, Coimbatore, Cuddalore, Dharmapuri, Dindigul, Erode, Kanchipuram, Kanyakumari, Karur, Krishnagiri, Madurai, Nagapattinam, Namakkal, Perambalur, Pudukottai, Ramanathapuram, Salem, Sivagangai, Thanjavur, Theni, Nilgiris, Thoothukudi, Trichy, Thirunelveli, Thiruvallur, Thiruvannamalai, Vellore, Villupuram, Virudhunagar, Ariyalur, Thirupur, Thiruvarur. Our clients can avail from us, a wide range of Variable Speed Drives that is widely used in textile machines, processing machinery, elevator industries and pump industries. These Variable speed Yaskawa Drives are specially designed for up to 16-step multi-speed operation. These ready-to-use control drives can be operated on PID and energy-saving operation modes and thus accept high-speed pulse train referencing. We are the leading supplier such as Variable Speed Drives in Andhra Pradesh, Karnataka, Kerala, Pondicherry & TamilNadu Areas; Chennai, Coimbatore, Cuddalore, Dharmapuri, Dindigul, Erode, Kanchipuram, Kanyakumari, Karur, Krishnagiri, Madurai, Nagapattinam, Namakkal, Perambalur, Pudukottai, Ramanathapuram, Salem, Sivagangai, Thanjavur, Theni, Nilgiris, Thoothukudi, Trichy, Thirunelveli, Thiruvallur, Thiruvannamalai, Vellore, Villupuram, Virudhunagar, Ariyalur, Thirupur, Thiruvarur.